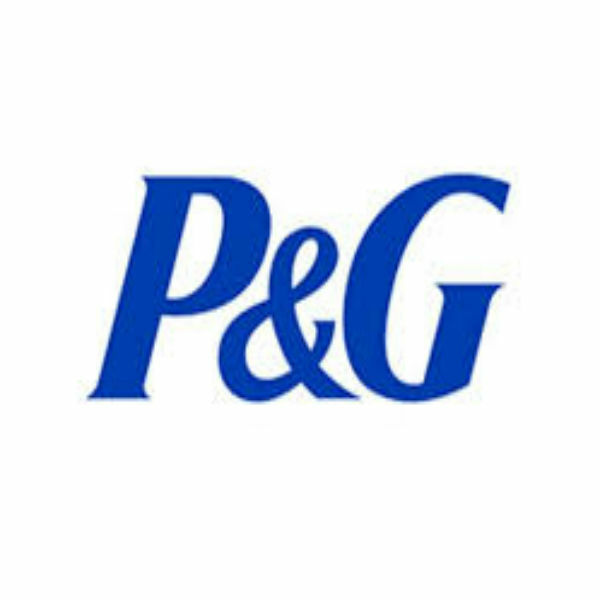 Procter & Gamble, also known as P&G, is a popular consumer goods company. While you may not have heard of them, you’ve definitely heard of Pampers diapers, Bounty paper towels, or Crest toothpaste. The company was founded nearly 180 years ago in Cincinnati by immigrant brothers-in-law, a candlemaker and a soapmaker. The company has grown to a massive size since then, achieving $83 bn in sales in 2014. P&G is also a highly rated employer, ranked 40th on “The Best Companies to Work For” in 2016 by Business Insider. So what’s it like to work there, and how do you get that job? We took a look. As with most companies, the easiest way to get started with a company is to intern with them. Since P&G is a consumer product company, you’d imagine that the variety of internships would be limited to a lot of scientific roles. However, current https://blog.transparentcareer.com/topics-for-a-narrative-essay/ include numerous business functions, such as marketing, sales, and finance. Interns make an average of $4,400 a month, and are provided stipends for housing and food. Most internships are based out of P&G’s headquarters in Cincinnati. The company also offers you help with finding a job on their site. P&G has a designed a simple essay paragraph transition words to figure out what type of person you are – such as creative, analytical, or inquisitive, and will show you current job offers and positions that could fit your personality. If you find yourself in a more analytical/data driven role, P&G offers a https://blog.transparentcareer.com/mla-essay-style-guide/, similar to one you’d take during an interview. The company also gives you an idea of what to expect during an interview – like what questions they’ll ask you. The work environment is noticeably open at P&G. Everybody eats together in a common space, regardless of company ranking. The company itself also emphasizes the learning process as being very important. Previous interns noted that they were given real projects to work on, as opposed to busy work. They felt that their work mattered, and they worked harder as a result because the company trusted them. P&G is also very flexible with their work hours. So long as you achieve what you need to every day, you have a ton of options when it comes to going to work. So much so, that 35% of P&G employees work from home. The company also offers extended leaves of absences. You may leave for twelve months at a time to care of your family. Employees also have the option to take time off for up to three months (a sabbatical) to work on personal projects or to travel. During this time they won’t receive pay but are still eligible for benefits. Starting salaries at P&G are quite high when compared to the national median of $36,000. Most entry level positions are analytically driven to some capacity – be it as an engineer, scientist, or a financial analyst. Surprisingly the entry level R&D engineers are paid the least. P&G salaries are also competitive when compared to other companies. 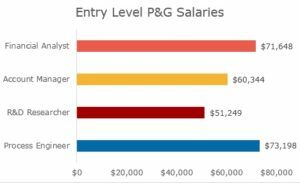 We took a look at the companies offering the most to their process engineers, and found that P&G offers one of the higher salaries. 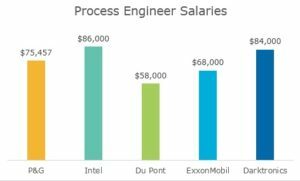 Considering this spans all industries, process engineers can expect a nice salary when working at P&G. Want to learn more about other companies? Take a look at our guides on 3M and Uber. Looking for more career advice? TransparentCareer offers free data on compensation packages, salary negotiation, and career pathing. Sign up for a free account here!